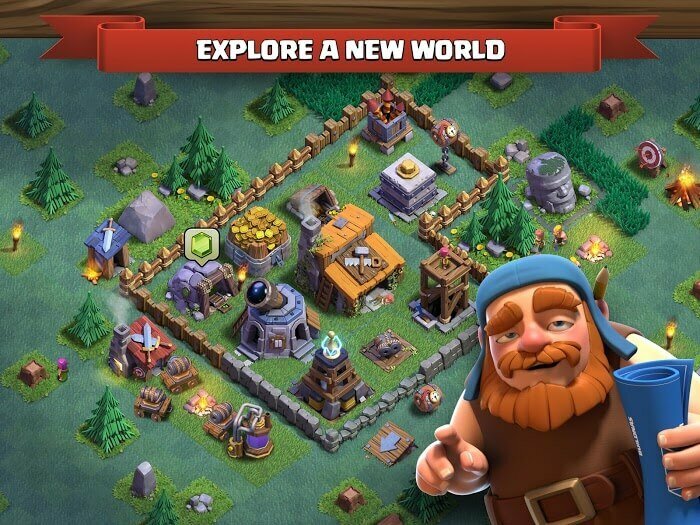 Clash of Clans (COC) is one of the best real-time strategy games on mobile. Participating in the game, you will own a powerful army, train them and participate in fierce territorial wars. Since the Long way of building the city has been popular because the gameplay does not require too many fighting techniques. However, not because of the simple way to lead the game becomes boring. Because it brings a lot of different challenges, as the story has its own characteristics. Players will have to spend a lot of time to learn. Clash of Clan has been a leader in this type of game. Later games, similar ideas have a bit of COC influence. This product has brought great success to the manufacturer SuperCell. You can easily see the massive amount of downloads on Google Play. 100 million people have installed and played it in the long run. And that’s just the number that counts in the download app. Other web download sites also have a large number of downloads. To date, the game continues to update the latest features to be able to satisfy its players. 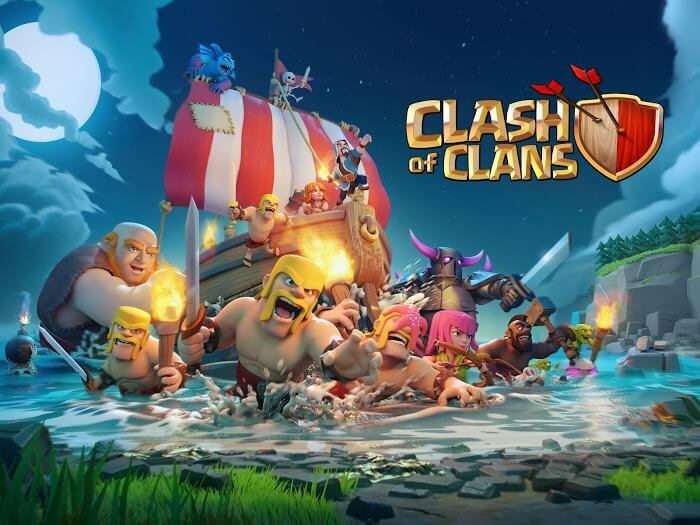 Clash of Clan boasts over one million five star reviews on the App Store. This is the motivation for the game development team to try every day to perfect this product. I just mentioned the gameplay because it has too many players and should not have to describe too well. Basically, it is a tactical game. 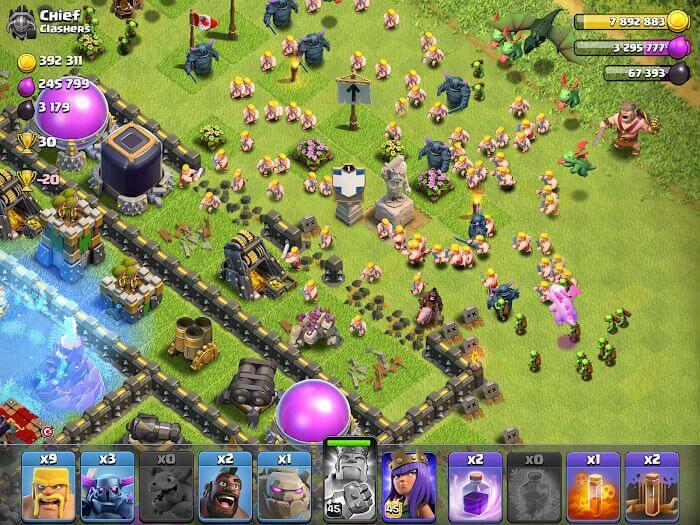 Clash of Clan allows players to own a small area to manage. Make it rich, rich. Full strength and sufficient wall to defend against enemy attacks. Besides, they also have to concentrate on making their troops more and more sophisticated. They will help you to capture other lands. Robbery property will make your land more productive than many times before. Your main house now can counter the enemy. In the past, it was only able to stand passively and be protected by other forces in the face of enemy attacks. 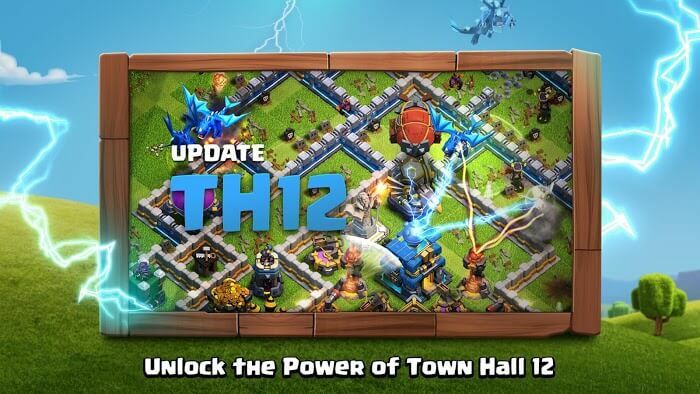 But with this update, if you upgrade it to level 12, you can attack the enemy for self-defense. Use Siege Machines To easily attack the gates of other enemies. No matter how well prepared they are, they collapse. If the challenges are too harsh, then you can invite friends to participate in Clan Games to fight. When winning the reward, the Magic Items will be awarded to those who try the most. In addition to defending your castle and attacking other strongholds to find resources for you, you can participate in the highest combat anymore. 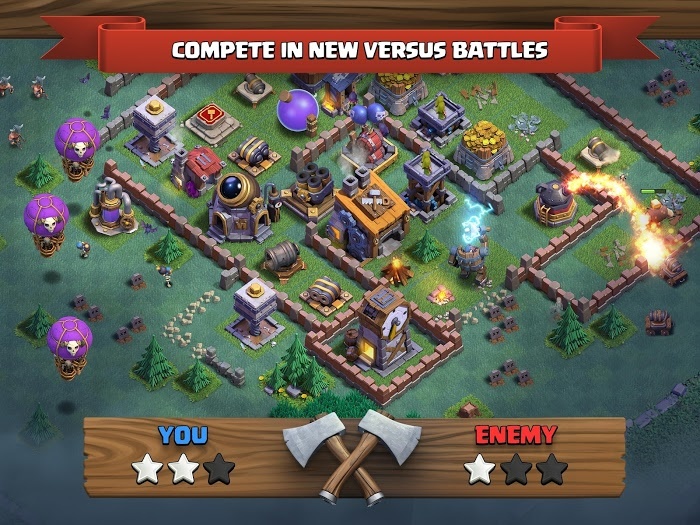 Clan Wars is where you can show your troops and your talent in front of tough opponents. They are all players around the world at the same level as you. Besides, these people have different army and tactics, so it will be more difficult to predict. Cannons, bombs, traps, mortars, and walls, … There will be so many types you can buy in the store. This is the most useful thing to defend your castle. Enemies who want to advance and loot wealth must overcome these challenges first. If they were destroyed by the soldiers, the expedition would fail. It also warns the player to be careful before breaking into someone’s home, must prepare carefully. Goblin King is also a terrible boss in the Clash of Clan, causing many players to be terrified. Players will have to use their most potent army, combined with clear tactics. The attacks should be effective. This means that it has to deal the most damage while avoiding critical damage. 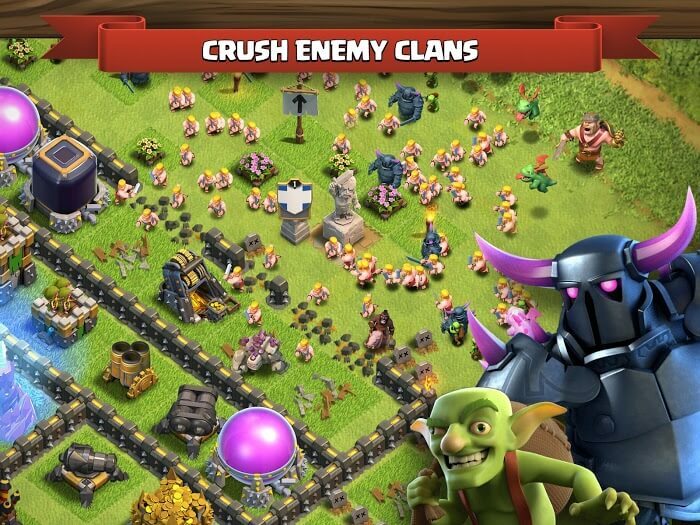 Clash of Clan is a free game on many platforms so you can safely play it by downloading it on reputable sites. But in the game, there are also items that can be bought with real money so you can quickly gain more power than others. If you are a player who does not want to buy these items, you can disable them in the settings. Besides, there is an age limit for the publisher of this game. Specifically, you must be over 13 years of age to play it legally. Because the game incorporates strong fighting elements as well as quirky aggressive phrases. But the number of downloads around the world is a testament to its appeal. If parents allow their children to play it, just keep an eye on them and guide them a little. – 30v30 War Leagues, balance changes, new Troop levels, and a ton of Quality of Life improvements! Survival: Heroes Canyon APK – MOBA vs Survival?